It’s very difficult to judge a unit caught out of its time period such as the Canon imageCLASS MF8170C, one of the earlier affordable color laser printers that offered users a color print speed of a dreadfully slow 4 pages per minute, along with a high price tag. That being said, this beefy machine is still fully capable of a variety of multifunctional printing and copying tasks. First off, the optical scanning resolution of this unit is actually very good. It can scan at 48 bit depth with resolution up to 1200 x 2400 dots per inch. This makes one think that designers of this piece of hardware had photo reproduction in mind, as all functions of the Canon imageCLASS MF8170C are color capable, though color faxing is a limited format. The unit’s fax machine is very up to par, and can even send faxes at a ultra fine resolution of 406 x 391 dots per inch. Other fax functions include a page memory of up to 256 sheets and 19 dedicated speed dial buttons. 100 coded dials can be programmed into the machine’s phonebook, while memory backup helps to store data in memory in case of a power outage or the need to transfer the machine. Like scan resolution, print quality can be set very high for both black and white and color. Either can be set to 2400 x 600 dots per inch for super high quality charts and graphs, or can be turned down to 600 x 600 dots per inch for optimal speed performance. 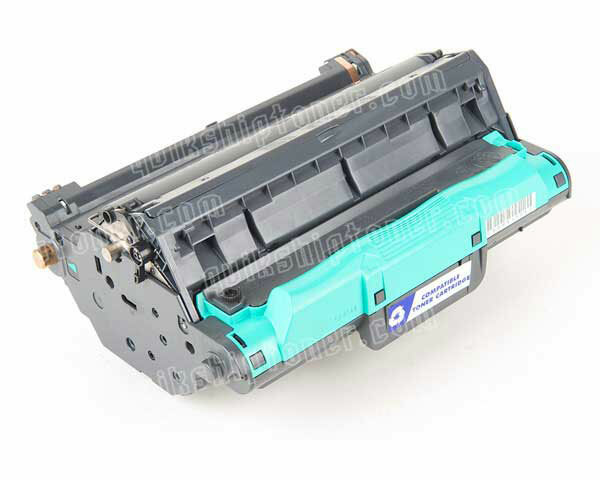 A toner save mode implemented into the device is especially important when dealing with often expensive color toner. The built in automatic document feeder is great when dealing with large scan or fax projects, and also extends the machines copy length up to 14 inches. The most blaring downside imaginable to this unit is its agonizingly slow color print speed of only 4 pages per minute. Printing with speeds this slow would make it faster to drive to the store and back with a desktop color inkjet that prints at 30 pages per minute. Black and white print speed is nothing to write home about either, and tops out at a marginal 16 pages per minute. Like many Canon ImageCLASS printers, the copy resolution of this device falls drastically behind the quality of print and scan. With only 600 x 600 dots per inch achievable, direct reproductions of color pictures or other imagery will suffer severely in quality. 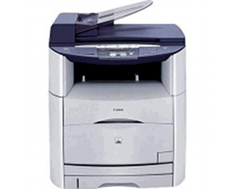 Review it: "Canon imageCLASS MF8170c "
Color laser printers and MFCs use a very unique toner system, especially if they are made by Canon. 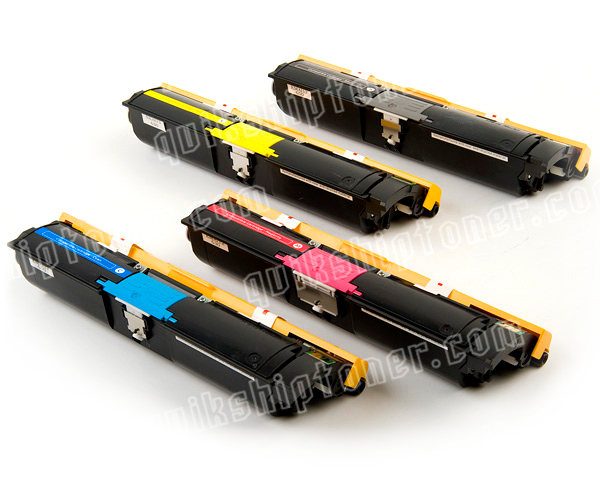 Canon color laser toner comes in the form of four cartridges and on large drum unit capable of producing up to 20,000 pages of yield and only 5,000 pages in color. Black toner cartridges offer a 5,000 page yield themselves, while color cartridges run slightly lower at 4,000 pages. All page yields are based on 5% page coverage, which is often highly inaccurate when dealing with color imagery.